If there’s one rule that Ubisoft has, it’s that everything needs to be a series. 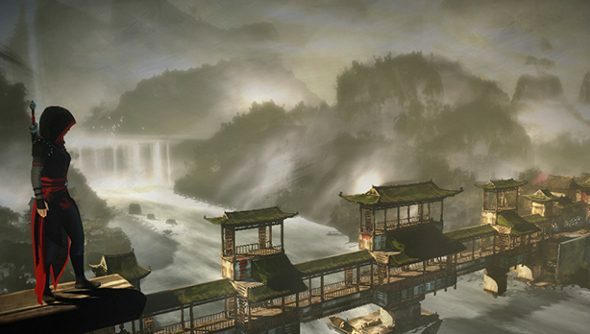 This rule has been taken to new extremes with Assassin’s Creed Chronicles: China. The side-scrolling spin off is a piece of standalone DLC, and Alex Amancio, Unity’s creative director, has confirmed that it’s just the first of a series. That’s right – even DLC spin-offs have to become franchises. Thankfully, it does actually look rather interesting. That might not be the case five or ten games later, though. “We really liked the side-scrolling idea, like Mark of the Ninja, and we thought it would be a really great way to explore some of the other universes we’ve created,” Amancio said in an interview with Eurogamer. Ubisoft liked the idea so much, that they decided to spin it off into a whole series, spanning different regions and eras. What’s kind of nifty is that this will be worked into the art. While the core Assassin’s Creed doesn’t have much of an art style, beyond sticking belts, buckles and hoods on things, Assassin’s Creed Chronicles: China is inspired by Chinese brush paintings and inks. “One thing that’s really cool is that every one of the chapters of this game will be in the art style representative of that era in time,” explains Amancio. “This is why Shao Jun’s game is like Chinese ink – very black and red. History is big and keeps being made, so Ubisoft’s never going to run out. Assassin’s Creed’s going to be around for a while.